At this point, it’s no secret that Facebook is going to unveil a home replacement launcher for Android tomorrow called Facebook Home, coupled with a device potentially dubbed the “HTC First.” It’s the Facebook phone that has long been rumored, yet one that we aren’t sure was or is really needed. 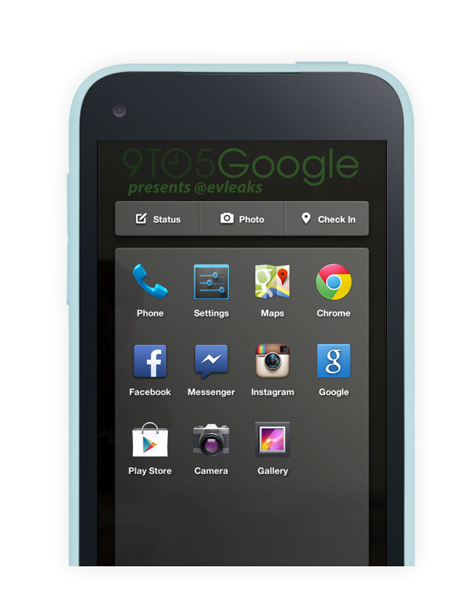 With that said, thanks to 9to5Google, we get what appears to be the first look at the phone’s UI. In the image at the top of this post, we’re seeing what appears to be Facebook’s take on an app drawer. It’s either that or a massive folder, but we’ll lean towards drawer. You’ll see all of the normal stock Google apps that you get on most phones, along with Facebook’s own Facebook and Messenger apps. If this is a promo pic, that’s clearly meant to point out that while Facebook is trying to fork the hell out of Android, this is still a Google-powered device with all Google services. You’ll also notice in that picture quick shortcuts for updating status, adding photos, or checking in on FB. 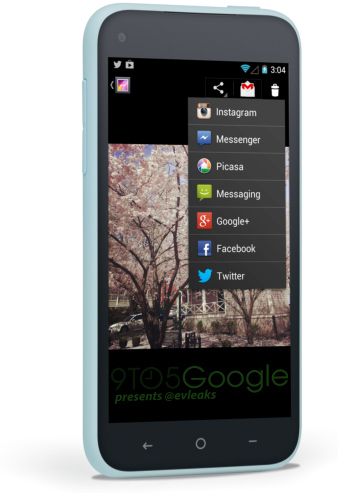 Below, we have a shot of what appears to be the stock Android gallery with the Share pulldown open. It hasn’t been skinned whatsoever. In the last photo (bottom right), we’re seeing what could be the home or lock screen with a heavy focus on big, beautiful images. At the bottom, we’re seeing a profile picture for the user, along with notifications from Messenger, a missed call, and Instagram. While these offer only a portion of what Facebook will likely unveil tomorrow, you can see that Android is taking a backseat to the social network for the most part. 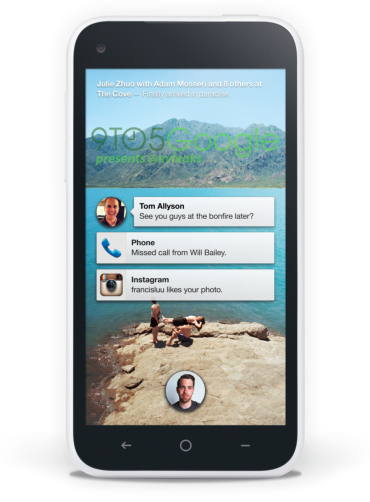 Facebook wants you using Facebook on the Facebook phone, after all. We’ll be on hand tomorrow for all of the Facebook announcements, so be sure to keep it close to DL. We may even have a liveblog, assuming one is needed. Also, don’t be surprised if Facebook streams the presentation for all.